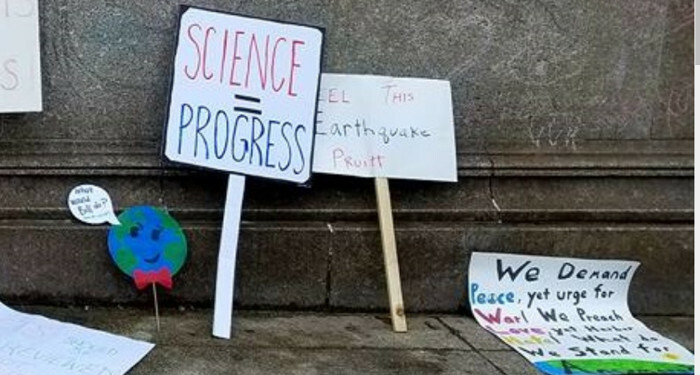 On Saturday, April 14th, 1-3 PM, join the 2018 March for Science – Boston: Science Strikes Back, this time to champion evidence-based policy when it comes to energy and climate. Last year, tens of thousands of people packed Boston Common for the March for Science. Will you be there this year to show that we demand evidence-based policies when it comes to climate change and so much more? This year, we’ll be at Christopher Columbus Park, a beautiful park a ten-minute walk from the Boston Common right on Boston’s waterfront. A week later, 350MA and Better Future Project will call our legislators and tell them to support bills that reflect our latest understanding of the urgency of climate change and the need to transition to renewable energy. RSVP for the April 14th March here. And please share this with three friends, colleagues, and/or family members who might be interested. You can also invite them to the event via Facebook. 4/16: Devotional “For the Beauty of the Earth SOLARIZE results are in!